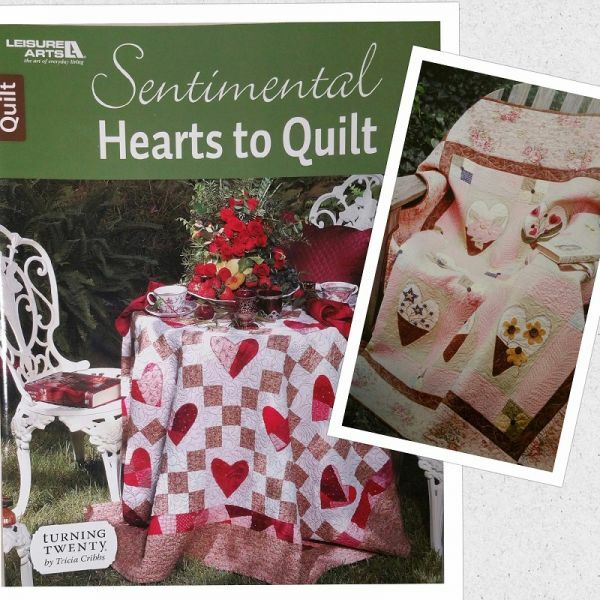 Sentimental Hearts to Quilt from Leisure Arts presents a gorgeous pair of quilts with themes of love and friendship. Tricia Cribbs of Turning Twenty® combines pretty fabrics and fresh designs with machine appliqué and fun free-motion quilting in the two designs. In Garden Hearts, each block features a different heart-shaped vignette of green-thumb beauty, with novelty buttons blooming on embroidered flower stems. Peace in My Heart uses paper piecing and a hodge-podge of red prints to create the scrappy blocks and pieced border.